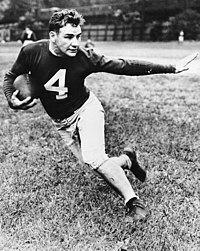 Alphonse Emil "Tuffy" Leemans (November 12, 1912 – January 19, 1979) was an American football fullback and halfback who played on both offense and defense. He was inducted into the Pro Football Hall of Fame in 1978 and was named in 1969 to the NFL 1930s All-Decade Team. A native of Superior, Wisconsin, Leemans played college football for Oregon's freshman team in 1932 and for George Washington from 1933 to 1935. 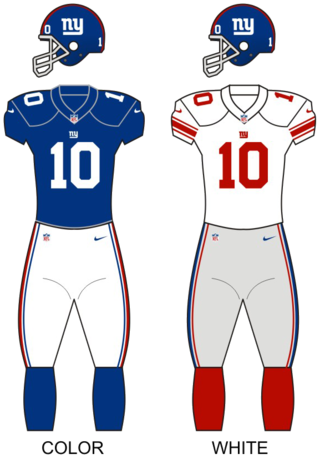 He was drafted by the New York Giants in the second round of the 1936 NFL Draft and played eight years for the Giants from 1936 to 1943. He led the National Football League as a rookie with 830 rushing yards and was selected as a first-team All-Pro in 1936 and 1939. He was also selected to play in the Pro Bowl in 1938 and 1941 and helped lead the Giants to the 1938 NFL Championship and the 1939 and 1941 NFL Championship Games. After his playing career ended, Leemans worked briefly as a backfield coach for the Giants and at George Washington. He also operated a laundry and dry cleaning business and a duckpins bowling alley. The University of Oregon is a public flagship research university in Eugene, Oregon. Founded in 1876, the institution's 295-acre campus is along the Willamette River. Since July 2014, UO has been governed by the Board of Trustees of the University of Oregon. The university has a Carnegie Classification of "highest research activity" and has 19 research centers and institutes. 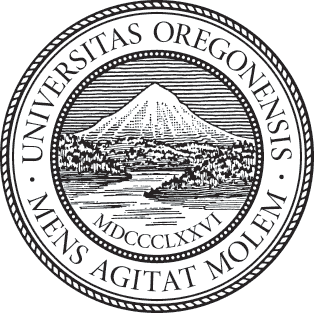 UO was admitted to the Association of American Universities in 1969. The George Washington Colonials football team represented The George Washington University of Washington D.C. in National Collegiate Athletic Association (NCAA) major college-level football competition from 1881 to 1966. The team's home field in the final seasons was D.C. Stadium, shared with the Washington Redskins of the National Football League. The 1936 National Football League Draft was the first draft of the National Football League (NFL). It took place on February 8, 1936, at the Ritz-Carlton Hotel in Philadelphia, Pennsylvania. The draft was instituted in an effort to end bidding wars among the league's teams by the arbitrary assignment of negotiating rights to amateur players. It was haphazardly decided that the last place team from the previous season would get the first selection, and the process would continue in reverse order of the standings. Under this structure the Philadelphia Eagles, who finished 1935 at 2–9, would select first. Wellington Timothy Mara was the co-owner of the New York Giants of the National Football League (NFL) from 1959 until his death, and one of the most influential and iconic figures in the history of the NFL. He was the younger son of Tim Mara, who founded the Giants in 1925. Wellington was a ball boy for that year. 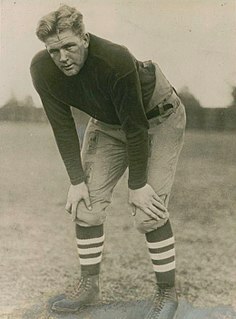 Leemans continued to be one of the NFL's leading players, receiving either first- or second-team All-Pro honors every year from 1936 through 1942. He received first-team honors in 1936 and 1939 and second-team honors in each of the remaining years. He was also selected to play in the Pro Bowl in 1938 and 1941. He ranked second in the NFL in rushing yardage in 1938 with 463 yards and third in 1940 with 474 yards. He also helped lead the Giants to the 1938 NFL Championship as well as the 1939 and 1941 NFL Championship Games. Leemans retired from football after the 1942 season. He signed on as a backfield coach with the Giants in 1943, but shortly before the season started, he opted to return as a player for one final year. He appeared in 10 games during the 1943 season, only one as a starter. He retired again after the 1943 season. Roosevelt "Rosey" Brown Jr. was an American football player. He was an offensive tackle in the National Football League (NFL) for the New York Giants from 1953 to 1965. He previously played college football for Morgan State University. Ernest Alonzo Nevers, sometimes known by the nickname "Big Dog", was an American football and baseball player and football coach. Widely regarded as one of the best football players in the first half of the 20th century, he played as a fullback and was a triple-threat man known for his talents in running, passing, and kicking. He was inducted with the inaugural classes of inductees into both the College Football Hall of Fame in 1951 and the Pro Football Hall of Fame in 1963. He was also named in 1969 to the NFL 1920s All-Decade Team. Stephen Wood Van Buren was an American football halfback who played professionally for the Philadelphia Eagles of the National Football League (NFL) from 1944 to 1951. Regarded as a powerful and punishing runner with excellent speed, through eight NFL seasons he won four league rushing titles, including three straight from 1947 to 1949. At a time when teams played twelve games a year, he was the first NFL player to rush for over ten touchdowns in a season—a feat he accomplished three times—and the first to have multiple 1,000-yard rushing seasons. 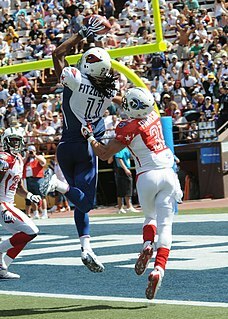 When he retired, he held the NFL career records for rushing attempts, rushing yards, and rushing touchdowns. Benjamin Friedman was an American football player and coach, and athletic administrator. John LeRoy Christiansen was an American football player and coach. He played professional football in the National Football League (NFL) for the Detroit Lions as a defensive back and return specialist from 1951 to 1958. He helped lead the Lions to three NFL championships in 1952, 1953, and 1957 and was a first-team All-NFL player in six of his eight years in the league. He led the NFL in interceptions in 1953 and 1957 and in punt returns for touchdown in 1951, 1952, 1954, and 1956. His eight career punt returns for touchdowns was an NFL record until 1989 and remains the fourth best in league history. He was inducted into the Pro Football Hall of Fame in 1970. Morris Hiram "Red" Badgro was an American football player and football coach who also played professional baseball. He was inducted into the Pro Football Hall of Fame in 1981. Charles Louis Trippi is a former American football player. He played professionally for the Chicago Cardinals of the National Football League (NFL) from 1947 to 1955. Although primarily a running back, his versatility allowed him to fill a multitude of roles over his career, including quarterback, defensive back, punter, and return specialist. A "quintuple-threat", Trippi was adept at running, catching, passing, punting, and defense. George Washington Rogers is a former American college and professional football player who was a running back in the National Football League (NFL) for seven seasons during the 1980s. Rogers played college football for the University of South Carolina, earned All-America honors, and won the 1980 Heisman Trophy. He was the first overall pick in the 1981 NFL Draft, and he played professionally for the New Orleans Saints and Washington Redskins of the NFL. As a professional, Rogers rushed for over 7,000 yards. Clarence McKay "Ace" Parker was an American football and baseball player and coach. He played professional football as a quarterback in the National Football League (NFL) for the Brooklyn Dodgers (1937–1941) and Boston Yanks (1945) and in the All-America Football Conference (AAFC) for the New York Yankees. He was an All-American halfback at Duke University in 1936. Parker also played Major League Baseball during 1936 and 1937 with the Philadelphia Athletics. He served as the head baseball coach at Duke from 1953 to 1966. Parker was inducted into the College Football Hall of Fame in 1955 and the Pro Football Hall of Fame in 1972. Joseph Lee Stydahar, sometimes listed as Joseph Leo Stydahar, and sometimes known by the nickname "Jumbo Joe", was an American football player and coach. He was inducted into the Pro Football Hall of Fame in 1967 and the College Football Hall of Fame in 1972. Edwin Clarence Widseth was an American professional football player who was a tackle for the New York Giants of the National Football League (NFL) for four seasons. He played college football for the Minnesota Golden Gophers football team of the University of Minnesota, where he was a consensus All-American in 1935 and 1936. Widseth was drafted by the New York Giants in the first round of the 1937 NFL Draft, and was chosen for the pro Bowl in 1938. He was later inducted into the College Football Hall of Fame. Cecil Frank Isbell was an American football Quarterback and coach. He played five years in the National Football League (NFL) with the Green Bay Packers, leading them to the NFL Championship in 1939. He retired after the 1942 season to become an assistant coach at his alma mater, Purdue University, and the following year became its head coach for three seasons. LeRoy Erwin "Ace" Gutowsky was an American football fullback. He played professional football for eight years from 1932 to 1939 and set the NFL career rushing record in October 1939. He held the Detroit Lions' career and single-season rushing records until the 1960s. Elmer Kenneth Strong was an American football halfback and fullback who also played minor league baseball. Considered one of the greatest all-around players in the early decades of the game, he was inducted into the College Football Hall of Fame in 1957 and the Pro Football Hall of Fame in 1967 and was named to the NFL 1930s All-Decade Team. John M. Hinkle was an American football player and coach. He played professionally in the National Football League (NFL) with the New York Giants, Philadelphia Eagles and the "Steagles". Hinkle later became a football coach, and was head coach at Drexel. The Million Dollar Backfield was a National Football League (NFL) offensive backfield of the San Francisco 49ers from 1954 to 1956. Featuring quarterback Y. A. Tittle, halfbacks Hugh McElhenny and John Henry Johnson, and fullback Joe Perry, the backfield was also referred to as the "Fabulous Foursome" and "Fearsome Foursome" by sportswriters. Formed well before players earned six-figure salaries, the unit was named as such for its offensive prowess, and compiled record offensive statistics. It is regarded as one of the best backfields compiled in NFL history, and is the only full house backfield to have all four of its members enshrined in the Pro Football Hall of Fame. 1 2 3 4 5 6 7 8 9 10 11 "Tuffy Leemans". Pro-Football-Reference.com. Sports Reference LLC. Retrieved October 3, 2017. 1 2 1930 U.S. Census entry for Joseph Leemans and family. Son Alphonse age 17 born in Wisconsin. Census Place: Superior, Douglas, Wisconsin; Roll: 2570; Page: 1B; Enumeration District: 0042; FHL microfilm: 2342304. Ancestry.com. 1930 United States Federal Census [database on-line]. ↑ Draft Registration Card for Joseph Leemans dated June 5, 1917. Registration State: Wisconsin; Registration County: Douglas; Roll: 1674994; Draft Board: 2. Ancestry.com. U.S., World War I Draft Registration Cards, 1917-1918 [database on-line]. 1 2 3 4 5 Bob Addie (January 20, 1979). "'Tuffy' Leemans Dies". The Washington Post. ↑ The Oregana (University of Oregon yearbook), 1933, pp. 187, 254. ↑ "Leemans Has Fine Record on Gridiron". The Hartford Daily Courant. December 20, 1935. p. 24 – via Newspapers.com. ↑ "Wellington Mara: A Giant" (PDF). The Coffin Corner. Pro Football Researchers. 1997. Retrieved October 3, 2017. ↑ "Herber Sets New Passing Records in Pro Football". Chicago Tribune. December 10, 1936. p. 26 – via Newspapers.com. 1 2 "Leemans Signs Grid Contract". The Evening News. August 11, 1937. p. 13 – via Newspapers.com. ↑ "Alphonse Leemans". Pro Football Hall of Fame. Retrieved October 3, 2017. ↑ "Pro Football Not So Tough Says Leemans". Chicago Tribune. December 10, 1936. p. 26 – via Newspapers.com. ↑ "1937 New York Giants Statistics & Players". Pro-Football-Reference.com. Sports Reference LLC. Retrieved October 3, 2017. ↑ "Leemans, Pro Gridder, Joins Brewers Quintet". Cumberland Sunday Times. December 12, 1937. p. 6 – via Newspapers.com. 1 2 "Lazy Sunday turned into Day of Infamy". Longview News-Journal (from New York Times Service). December 7, 1980. p. 6 – via Newspapers.com. 1 2 "Tuffy Leemans Day turned tragic in 1941". The Washington Times. December 5, 2005. 1 2 "Tuffy Leemans Is Rejected by Army". Journal and Courier. July 8, 1943. p. 19 – via Newspapers.com. ↑ "Mel Hein, Leemans To Leave Pro Ranks". Arizona Republic. December 3, 1942. p. 14 – via Newspapers.com. ↑ "Leemans to Play Again With Football Giants". The Brooklyn Daily Eagle. October 8, 1943. p. 13 – via Newspapers.com. ↑ "Leemans Put Giants on NFL Map". Asbury Park Press. January 24, 1979. p. C6 – via Newspapers.com. ↑ "Giants Appoint Assistant Coach". Arizona Republic. February 29, 1944. p. 9 – via Newspapers.com. ↑ "One-Minute Sport Page". Corsicana Daily Sun. August 22, 1945. p. 7 – via Newspapers.com. ↑ "Tuffy Leemans Chosen". The Cincinnati Enquirer. April 21, 1946. p. 26 – via Newspapers.com. ↑ ""Tuffy" Leemans Wed to Theodora Rinaldi". The Eau Claire Leader. June 13, 1937. p. 10 – via Newspapers.com. ↑ "'Tuffy's Place' to close". The Gazette . July 31, 2002. ↑ "Marshall, Leemans Rivals In Business". Cumberland Evening Times. December 18, 1939. p. 10 – via Newspapers.com. ↑ "untitled". Press and Sun-Bulletin. February 21, 1948. p. 13. ↑ "Tuffy Leemans Named Touchdown Club Prexy". Green Bay Press-Gazette. September 26, 1956. p. 23 – via Newspapers.com. ↑ "Hutson, Herber Head Selections For 1930s Team". Fremont (OH) News-Messenger. August 26, 1969. p. 11 – via Newspapers.com. ↑ "'Tuffy' Leemans Inducted Into Hall". Fort Lauderdale News and Sun-Sentinel. July 30, 1978. p. 8C. ↑ "Tuffy Leemans Dies; Giants' Star Was 66". The New York Times. January 20, 1979. ↑ "Alphonse "Tuffy" Leemans". Find-a-Grave.com. Retrieved October 3, 2017.